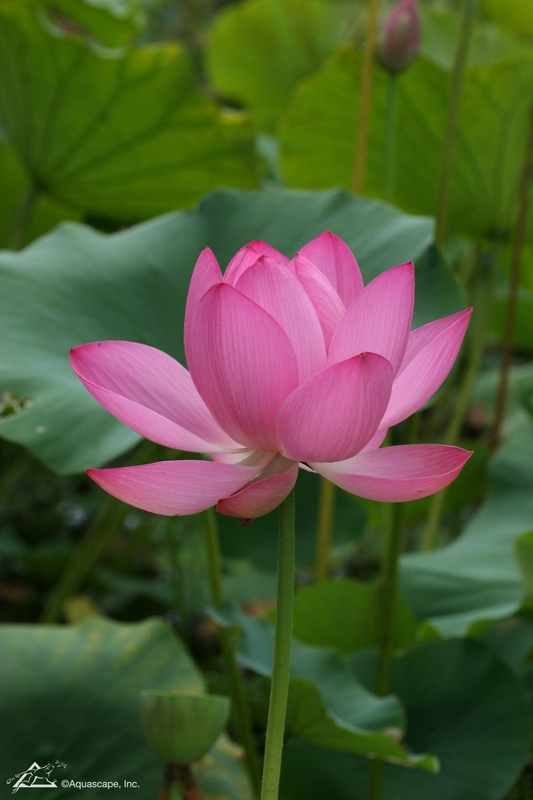 Water Lilys are a great aquatic plants addition to nearly any water feature. Fortunately Water Lilys come in a wide variety of shapes and colors. When we design water features, we recommend using various aquatic plants to accent the aquascape. We help you decide the specific floating water plants in your design that work the best. Simply making an aquatic plant list of your favorites can really help! Aquatic floating plants are beautiful to look at, especially if they are exotic aquatic plants. 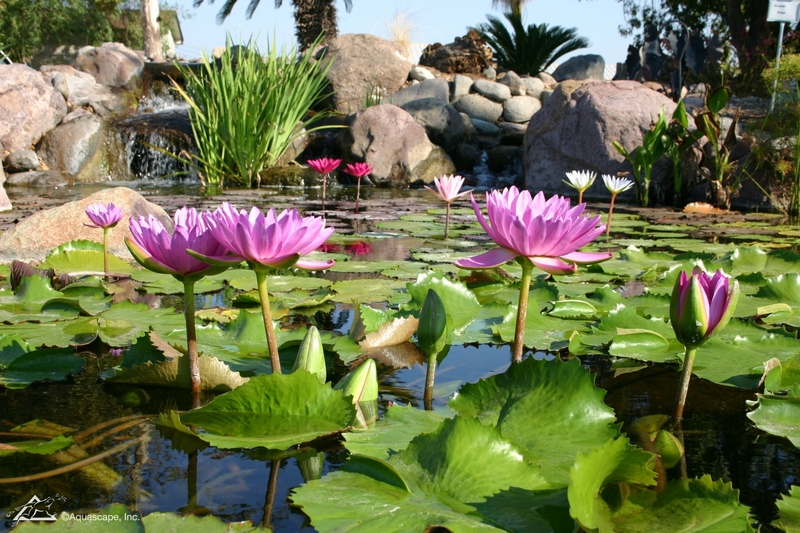 Aquascapes helps you decide which water plants would work best for your water feature. When various colors are brought to the waterscape it can really help the entire water feature design come together in entirety. Imagine waking up to this in your backyard! Here is one of our installed water features with a wide variety of plants and vegetation. Aquatic plant examples are few and far in between, but this waterscape came out perfect! We wouldn’t change a single plant. 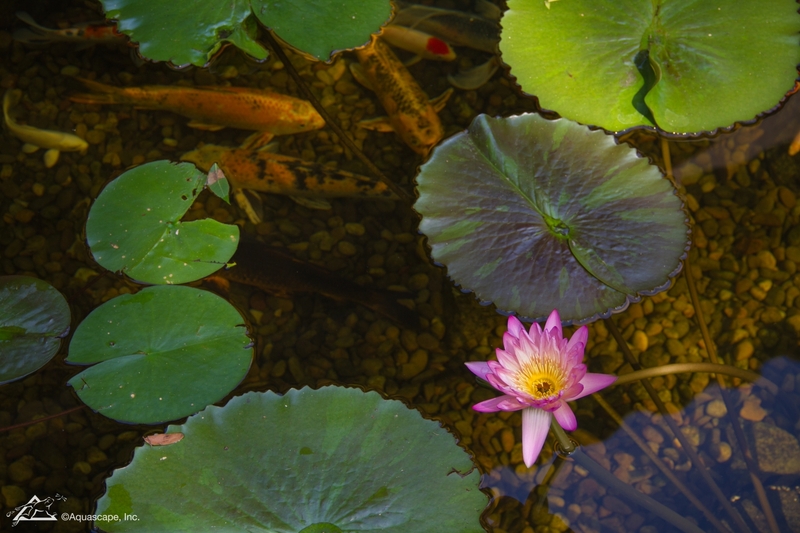 Pond aquatic plants help balance the natural ecosystem. Some of these aquatic plants will be submerged under the pond water, but some will be above, in the ground next to your water feature. Aquatic plants will be entirely different from aquarium plants except for some, such as various types of reeds. 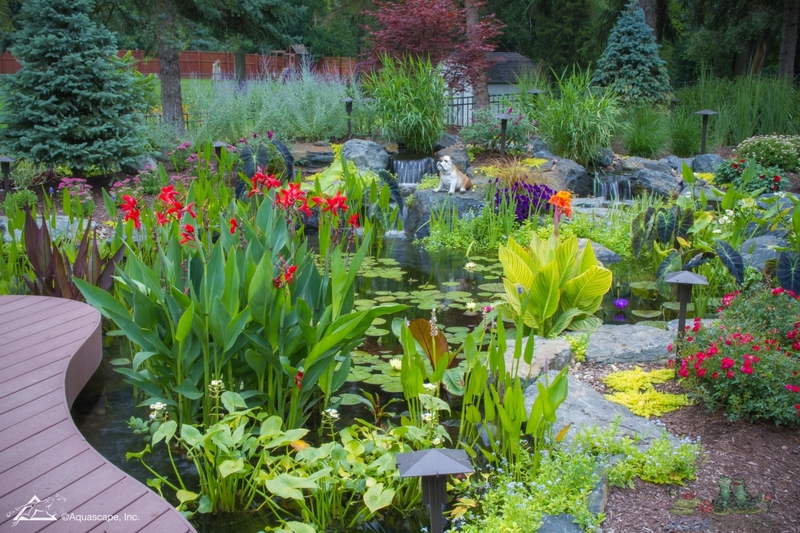 It really comes down to the pond owner for having the final decision on the perfect set up of aquatic plants around their waterscape. Adding in a flocculant helps keep the water clear and pristine. This additive not only helps keep the water clear, but assists in the natural ecosystem of the pond. 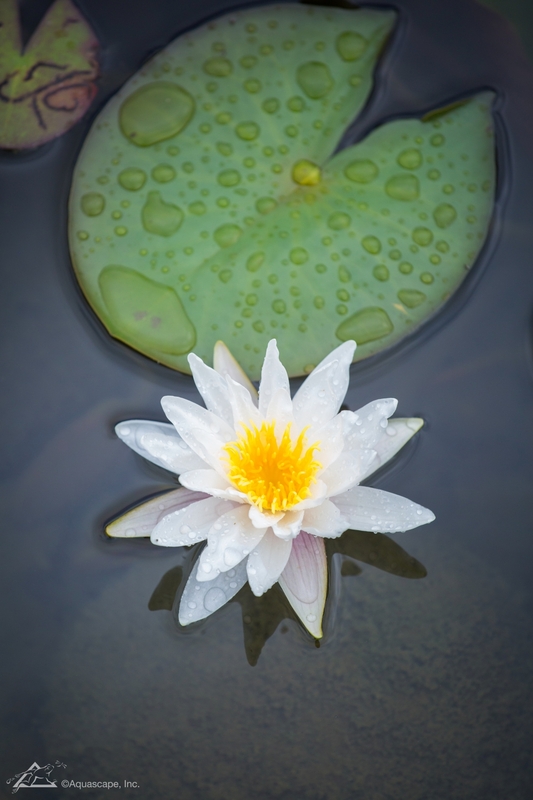 Ensure all pond pumps are working and filters are changed for the best environment for your aquatic plants. 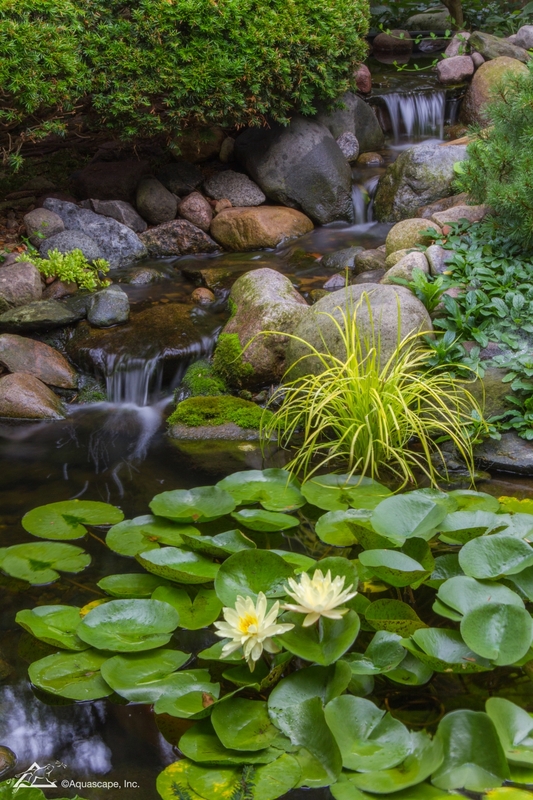 When considering which aquatic plant to choose, try to thinking about the various aquatic pond plant types that you have in your water feature currently, what is missing. If you’re stuck, you can always give us a call! We love to help. 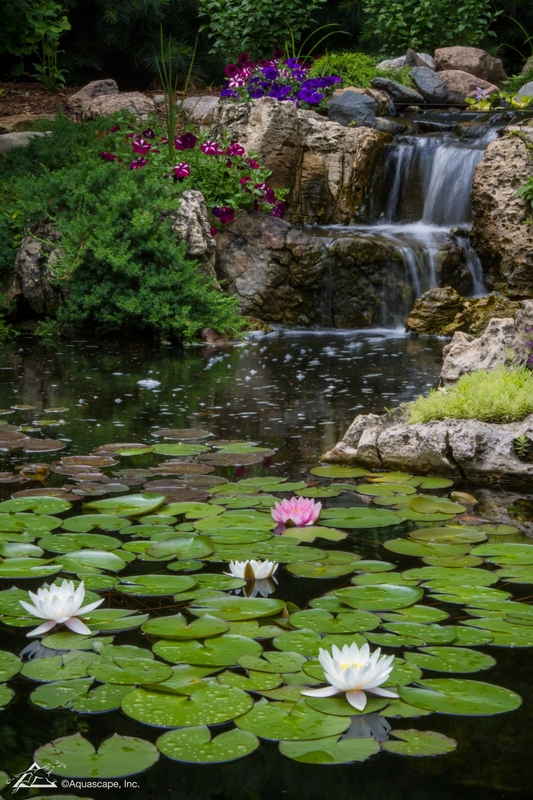 Water plants for lakes and water features are surprisingly similar. 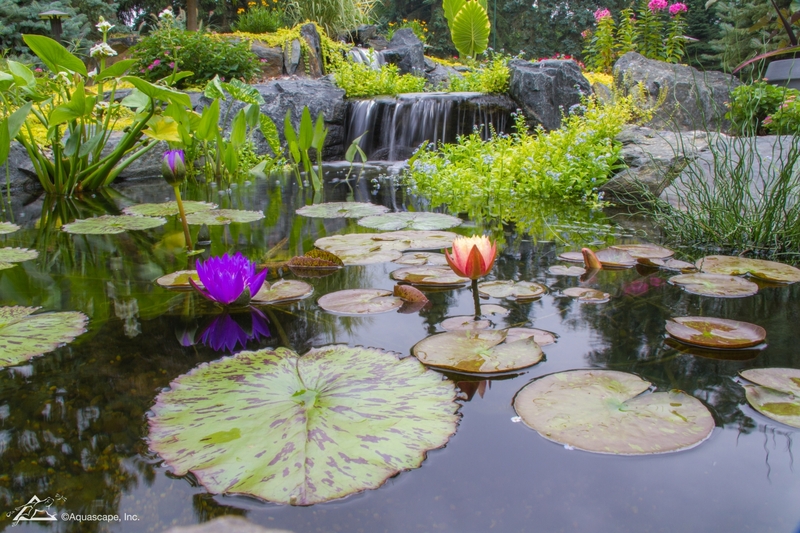 Try adding in a variety of aquatic pond plants and non-aquatic plants. Having a wide variety of vegetation is ideal!